The crucible is about people who are to religious and can be manipulated by children and think witches exist so they start hanging people the children told them to hang. It also shows how people can be deceived and how easy it is for people who can't understand make things up to make sense of the encounter. 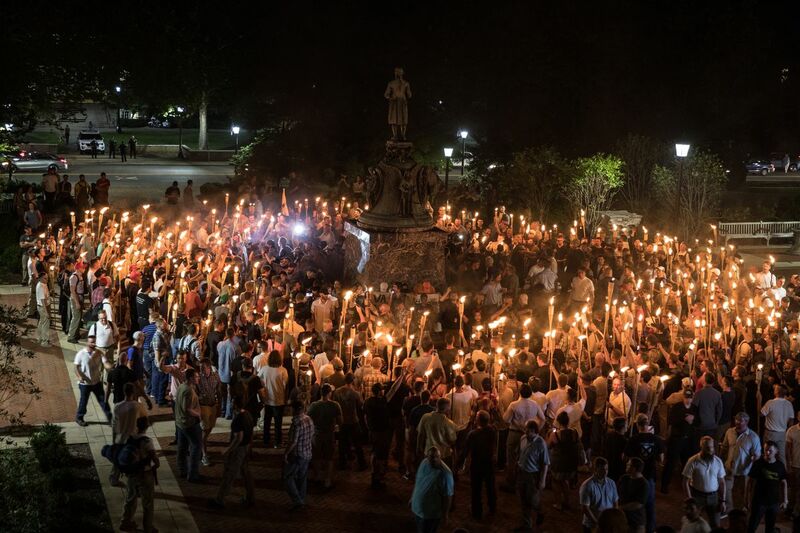 Charlottesville spread across the U.S., many responded with disbelief, insisting that such abhorrent behavior and views were un-American. There was also a scene in they play when they thought that killing the people was unjust and bad. There were big protests and in the book crucible there were also protests. I choose this article because I felt that this related to the play and my personal connection is I feel like this kind of stuff in society needs to stop. In both the book and real life people get accused or judged and then it results in violent actions just to decide who's right. I think that people in society are ridiculous to go to such extremes just because people have different opinions. Talking to anyone reading this letter and to anyone listing. This article can relate to the Charlottesville spread over the US. This topic is just a few months old and still is a relevant topic and is still talked about and also the Salem witch trials are still spoken about even thought that topic is a few hundred years old. People have talked about both of these topics a lot and has found that both have devastating violence in it. The purpose of this letter is to show people that there is violence in the world and there are bad people but we can make a change and stop these people from doing harm. Also this letter addressed the problems with violence and how it just leads to all or nothing. This connects to the book very well because there was a protest and a gathering of people in the book and in Charlottesville the was a gathering of people and the law had to be put in place in the end and innocent people died. Also it showed how both could be tricked.